William Ralph (Bill) Blass (1922-2002) was born in Fort Wayne, Indiana, in 1922. At the age of nineteen he left the Midwest and moved to New York City, where he studied briefly at Parsons School of Design. He worked as a sketch artist for a sportswear firm in 1940-1941, but his budding career was interrupted for military service in a counterintelligence unit in World War II. After the war Blass began working as a fashion designer, mainly for the firm of Maurice Rentner, Ltd. In 1970 he purchased the Rentner firm, renamed it Bill Blass Ltd., and saw the company take off as one of the most successful American fashion houses of the late twentieth century. Blass created a glamorous but restrained look that won him a faithful following among women of style, including Nancy Reagan, Barbara Bush, Candice Bergen, and Barbara Walters. His day outfits drew heavily on tailoring and fabrics usually associated with menswear, including pinstriped gabardines, worsteds, and houndstooth checks. His eveningwear referenced Hollywood glamour. One of his most famous evening gowns consisted of a cashmere sweater top and a bouffant satin skirt. Blass showed great business acumen in making Bill Blass Ltd. one of the leaders of the licensing boom that took off in the fashion industry in the 1980s. In rapid succession the firm concluded lucrative licensing deals for eyeglasses, executive gifts, fragrances, and a wide range of other fashion-related products. 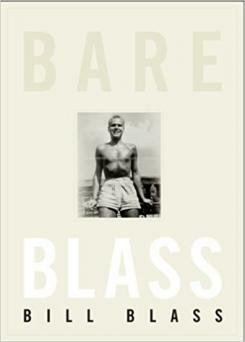 Blass retired from his business after suffering a stroke in 1998, and the company was sold to its backers in 1999. Blass died in 2002, but Bill Blass Ltd. continued to thrive, with Lars Nilsson as the founder's first successor. Michael Vollbracht replaced Nilsson as the firm's chief designer in 2003. See also Celebrities; Fashion Marketing and Merchandising; First Ladies' Gowns; Perfume; Twentieth-Century Fashion. Bill Blass. Bare Blass. New York: HarperCollins, 2002. Daria, Irene. The Fashion Cycle: A Behind-the-Scenes Look at a Year with Bill Blass, Liz Claiborne, Donna Karan, Arnold Scaasi, and Adrienne Vittadini. New York: Simon and Schuster, 1990. O'Hagen, Helen, Kathleen Rowald, and Michael Vollbracht. 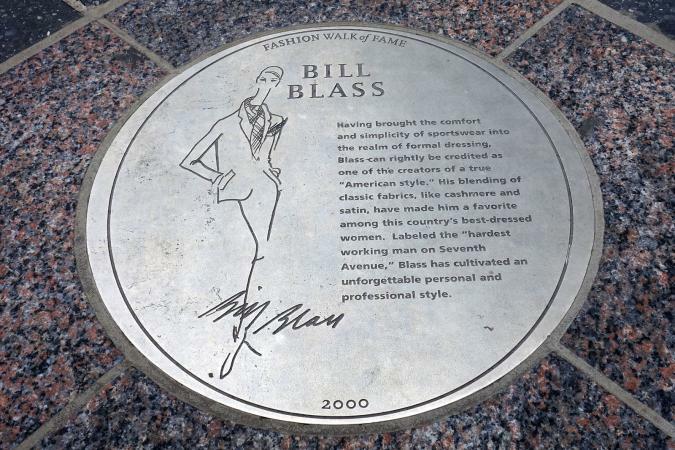 Bill Blass: An American Designer. New York: Harry N. Abrams, 2002. Wilson, Eric. "Bill Blass Receives a Retrospective." Women's Wear Daily, 16 May 2000.